We all knows about Delhi right ? Delhi is the capital of the world’s largest democracy of India. But today we are talking about food of Delhi not about delhi right ? so no need to wait more. Do you know some best food dishes of Delhi ? Don't know ? 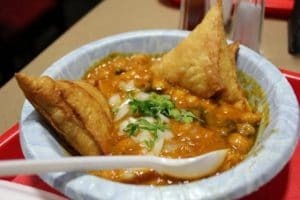 Don't worry, We are introduce you about Best 7 tasty food of Delhi that you will really like to try. Every one know that Indian street foods are very amazing and mostly people loves Indian street food. however you are in India or not in India. So today we are going to discuss about street foods of Delhi. 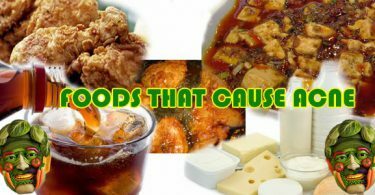 We can not mention perfectly number to these kind of street foods because every one have different choice. 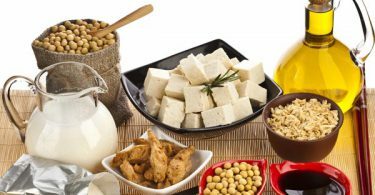 But we can surely say that these all foods are very amazing that you should try it once. 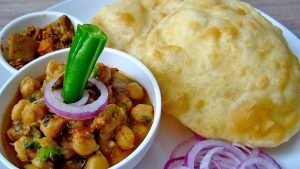 Lets talk about Chole bhature. A well-known Indian dish that mostly like all food lovers. 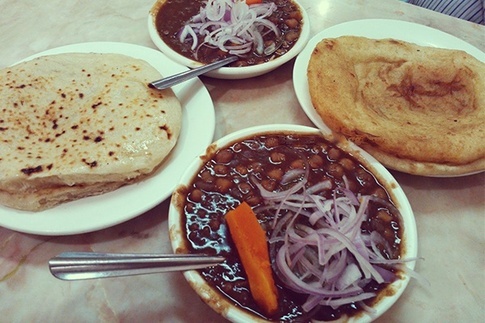 Only in Delhi you can taste the best chole bhature or chole kulcha. 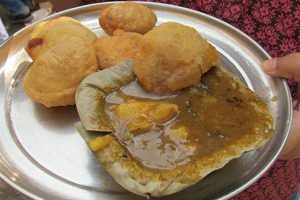 The fluffy bhature or buttery kulcha makes it the best street food of the city. Ask for that special chutney to put in your chole. I am sure you will just lick your fingers while eating. This is something new right ? Because you have tried kachori with chatni right ? This is new because it is kachori with sabzi. This Delhi street food will make you ask for more when you try. You will get spicy treat with your runny nose and teary eyes. Add a dash of coriander and chilies, on this and you are set! For some tangy flavor, ask for special masala on top of your sabzi. And also try the stuffed onion and matar kachoris. You have read two times right ? But it is true Samosa with chole is street foods in Delhi. Samose and chai are hot breakfast for the delhites. But this flavorsome preparation is a unique variety of Delhi street food. We can sure, just one single bite of this deliciousness and it will become your first choice among junk fried food. Add the green chili chutney on the top for some spicy taste. This is great fruit chaat that Delhi people loves. Among the many sinful fried and spiced offerings street food is the fancy fruit chaat. This is the combination of health plus taste chaat. The healthy fruits mixed with chana toppings can make you healthy and wise. And also try this chaat with a glass of chilled lemon soda. You will only get this food of Delhi in Chandni Chowk. Daulat ki Chaat the name is very interesting right ? 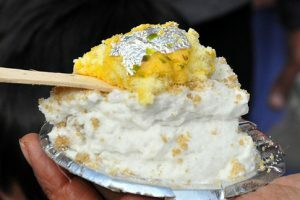 Not only name taste is also interesting.. Daulat ki chaat, as it is called in Delhi, goes by many names in the north. Malaiyo in Banaras, malai makhan in Kanpur, and nimish in Lucknow. It’s a that ethereally magical dessert that’s like a cross between a soufflé and a cloud. You will have to go to Chandni Chowk to try this dessert. We know the name of this street food makes you to think of any sweet dish. But no, Ram Ladoo is a savory dish with dal pakoras. The tanginess of chutney with these fried dollops make for every foodie’s fancy. Try the Bhuni Mirch and Mirchi Bhonda with this. It’s best to be eaten in winter as the hot dumplings melt in the mouth or in monsoon, enjoying the rains. 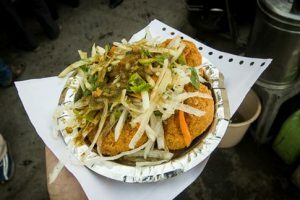 Moth Kachori comprises of 4 things - a khichdi made up of moong ki dal and rice which forms the bottom layer, a Kachori that's stuffed with dal inside, sliced onions that are sprinkled with some masala that's come from a place called heaven, and pickled green chilli. Add a zest of lemon to the savory to make it more flavorsome. The most preferred breakfast of Delhi and can be eaten at any time. 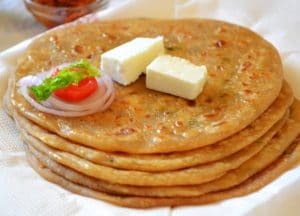 A spoon of butter and extravagant stuffing in the paratha makes it a best street food in Delhi. Try the special Egg Paratha and Pizza Paratha when you visit Delhi. And go to Parathe wali gali for the deep fried parathas.